Calling all budding young artists! 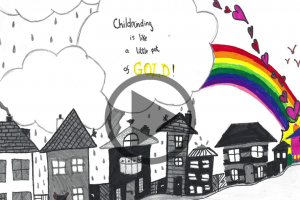 The Childminding Ireland Children’s Art Competition is back this Autumn to celebrate and nurture the talents of the children you look after. It was a great success last year and the artwork really brightened up our offices, so we are looking forward to receiving this year’s creations! We have fantastic prizes for the winners too! Click here to see a video with a selection of the entries from last year! Ask the children you mind to draw, colour or paint something that takes their fancy! This is a chance for children to show off their creative talents and build confidence. A selection of the artwork submitted will be uploaded to our website for all to see. We have fabulous prizes for the creative winners and for their childminders too! Entrants should use A3 or A4 paper and use standard art materials like colouring pencils, crayons, markers or paints. 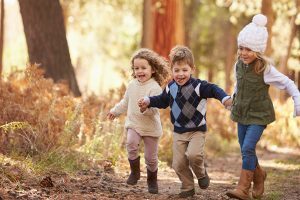 Don’t forget to include the child’s name and age as well as the childminder’s name and contact details. Please request written permission from the child’s parent or guardian prior to entry. The winners will be announced in December 2018. See competition terms and conditions below. Entrants must be under 15 and be minded by a Childminding Ireland Member. Artwork must be the childs own work and not computer generated. Childminding Ireland staff will choose the winner. Judges decision is final. No alternative prizes can be offered. 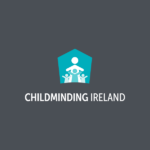 Winner and Childminder will be used in Childminding Ireland promotional material. Any entrants work may also be used in Childminding Ireland promotional material. Artwork cannot be returned to entrants.